Our very first celebrity client was Jennie Garth, who is known for her role in the popular 90's sitcom 90210. We were both nervous and excited to design our first celebrity nursery! 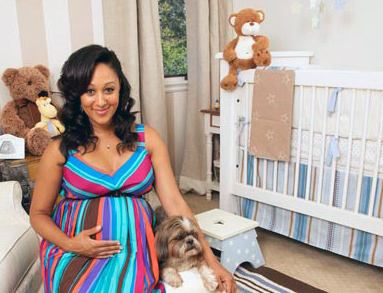 Since then we have assisted numerous celebrities prepare the nursery for their new bundle of joy. Ever wonder how celebrities decorate their nurseries? Celebrity nurseries are sometimes over the top, but often simple and sweet. Check back often to see our latest projects! Here is a peek in to some of the celebrity nurseries you can find our products in! 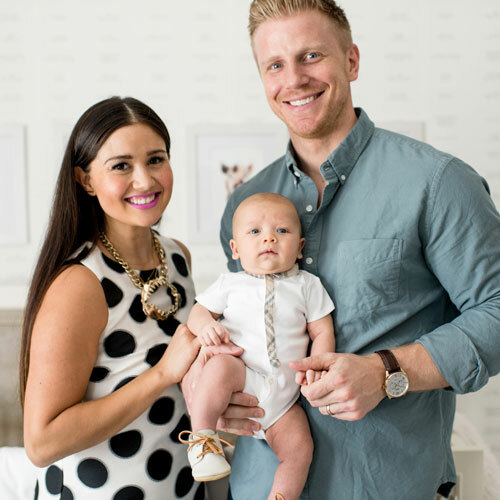 New Arrivals' nursery that welcomed Sean and Catherine Lowe's new baby boy! 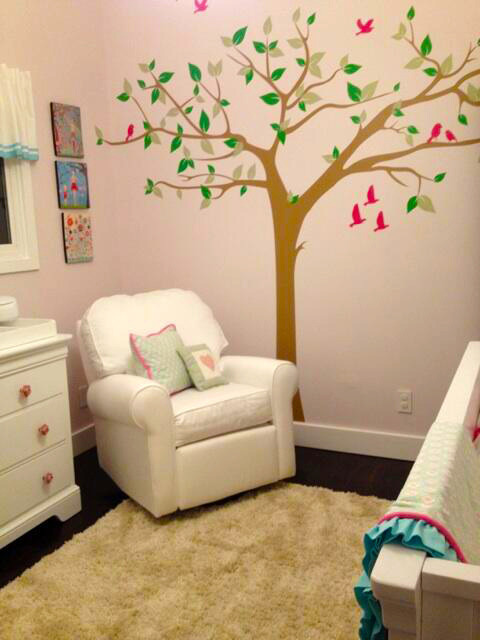 See more of this adorable nursery on our here! Backstreet’s back alright, with a new backstreet boy, and his name is baby Odin! 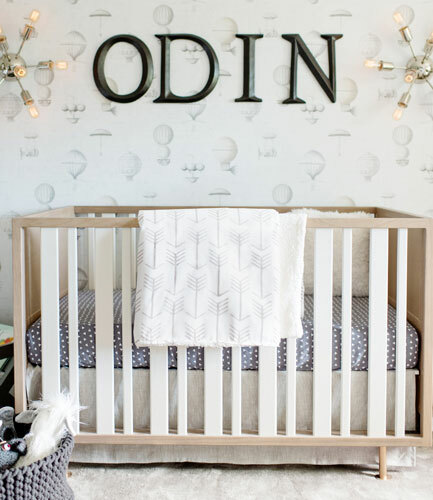 Nick and Lauren Carter welcomed their baby boy, Odin, to the world and New Arrivals, Inc. was excited to help with the baby bedding for their flawless nursery! Click here to see more photos and details of the room! Mark Wahlberg and his wife Rhea Durham announced the birth of their 4th child in January, 2010. Their new baby girl's name is Grace Margaret. Rhea chose New Arrivals pink damask New Arrivals Custom Baby Bedding for little Grace's nursery. Jerseyites Kevin Jonas and his wife Danielle welcomed their first child together, a girl they named Alena Rose Jonas. The couple married in 2009 and starred in their own E! reality show, "Married to Jonas". Danielle chose our Whisper Linen Curtain Panels with Pom Pom trim for the adorable new playroom designed for baby Alena! 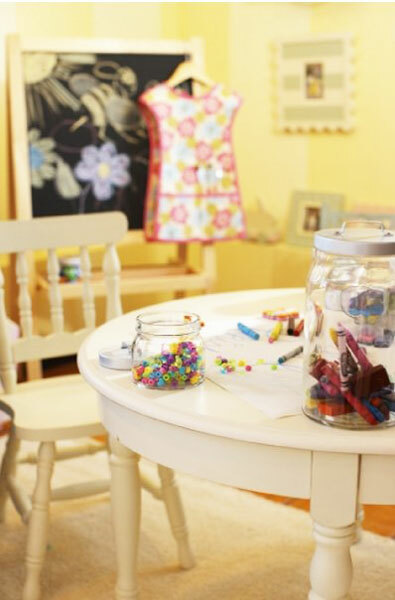 Click here to see more details and photos of the playroom! 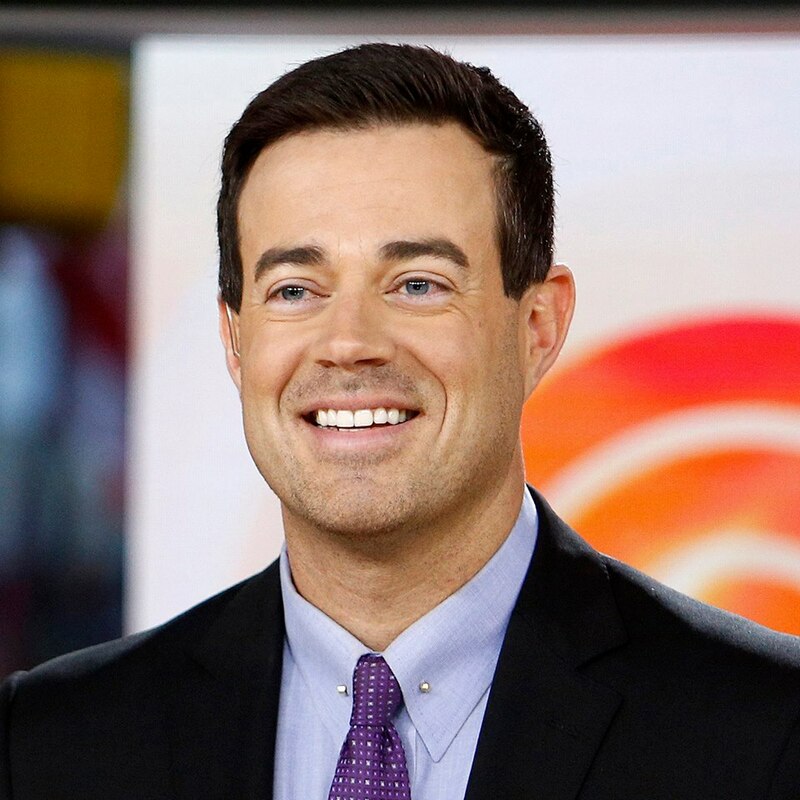 The Voice host, Carson Daly & Siri Pinter are expecting their second child, the food blogger confirms. "There is a baby in there and that baby has been living there for about 5 and a half months already!" Pinter, 31, writes on her blog. Carson & Siri chose New Arrivals Crib Bedding Separates in khaki and white for their nursery! "I am beyond thrilled and blessed." Follow Siri on her food blog, Siriously Delicious where you can find a ton of nutritious and not-so-nutritious recipes, all of which she tests out on Carson and their two kids. 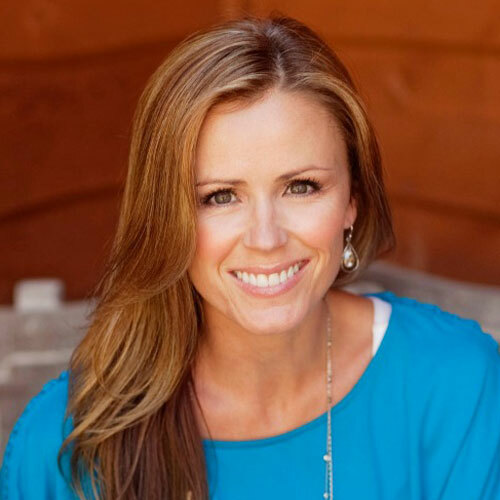 She is also a contributor to the Today Show. 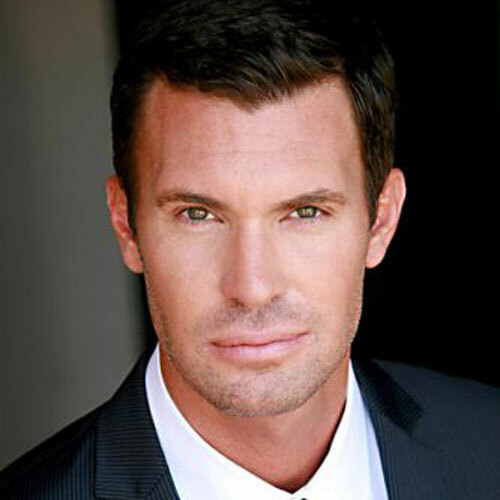 You know him as Liam Court from 90210, Logan Wyatt in Timeless, and other roles such as Star Wars: The Clone Wars and modeling. 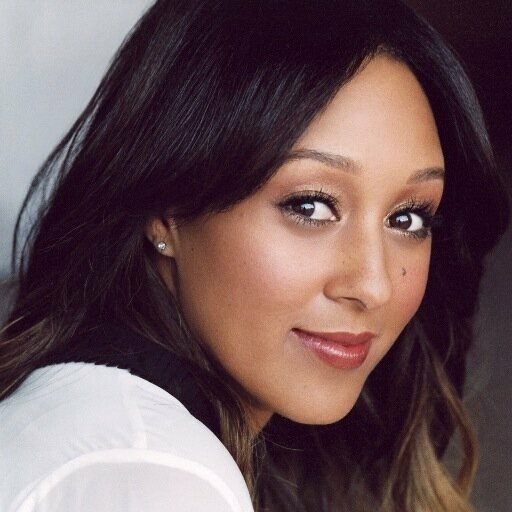 She is the beauty and brains behind the popular Hello Gorgeous Blog, where she dishes about food, decor, beauty, fashion and pregnancy. 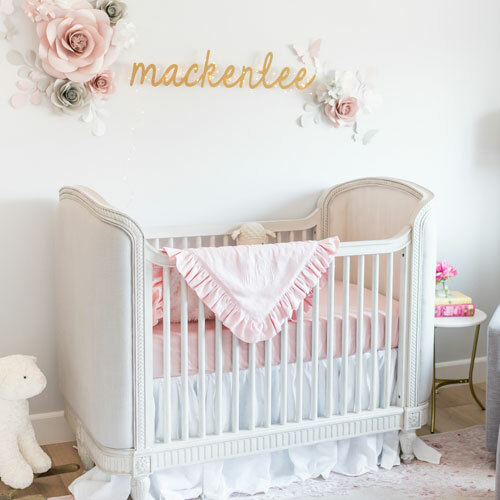 Matt and Angela Lanter's first child was born December 30th, 2017, and we were thrilled to work with Angela designing MacKenlee Faire's nursery! Buddy Valastro's wife Lisa gave birth to their 4th child, son Carlo Salvatore Valastro on Feb. 14, 2011. They hired interior designer, Sherri Blum, to decorate the nursery for the new baby. They did not want to know the gender of their baby prior to birth, and therefore desired a gender-neutral baby nursery. Buddy's wife Lisa wanted a traditional elegant nursery, while Buddy wanted a whimsical Jungle Safari themed nursery. They compromised somewhat, by designing an elegant room with a few safari accents. Sherri chose several New Arrivals Nursery Decor items for the nursery. An adorable video was filmed of Buddy & Lisa discussing their ideas for the nursery. Click here to see more details and photos of the room! 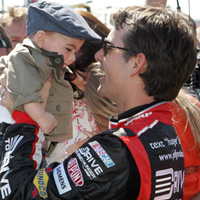 Nascar driver Jeff Gordon and his wife Ingrid Vandebosch welcomed their second child Leo on August 9th, 2011. The Gordans choose our Wooden Letters with blue ribbon to hang on on Leo's Nursery Wall. Isn't he adorable?! 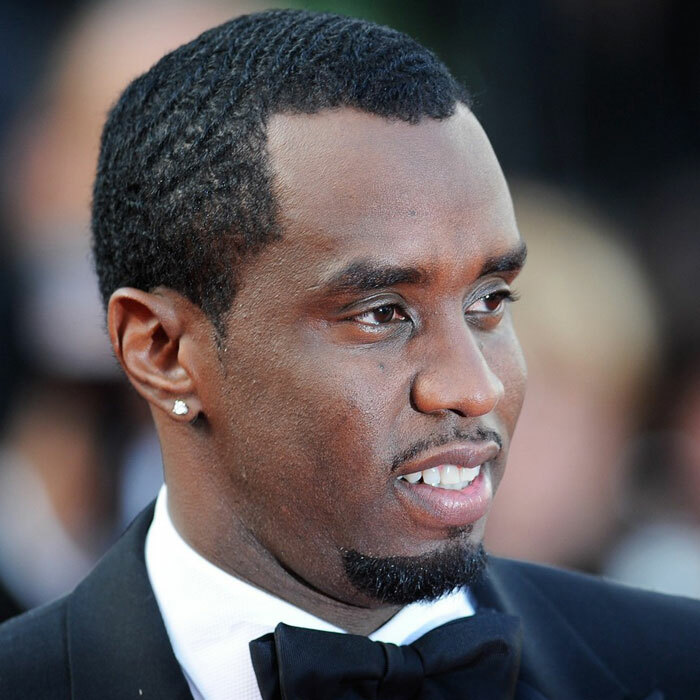 Celebrity Nursery Interior Designer Shalena Smith of Ga Ga Designs came to New Arrivals, Inc. to accessorize Sean "Diddy" Combs and Kim Porters nursery for their twin baby girls! The nursery for Jessie James and DLila Star has a "French Garden" theme featuring soft pinks and greens. Their designer chose several nursery decor items from New Arrivals, Inc. for the celebrity couple. Click here to see more details and photos of the nursery! Victoria Secret Supermodel, Alessandra Ambrosia & husband Jamie Mazur enlisted the design services of Tori Swaim for her Beverly Hills, CA nursery. Alessandra choose lavender & white Custom Baby Bedding for baby Anja & various room decor items. We were lucky enough to attend her baby shower at the Gramercy Park hotel in NYC, and were surrounded by lots of celebrities and Victoria Secret models! At her baby shower she opened her New Arrivals basket filled with lots of goodies for the nursery! Country star Hillary Scott and her hubby and band mate, Chris Tyrrell, are parents! The Lady Antebellum country star and husband Chris Tyrell welcomed their daughter, Eisele Kaye Tyrell, on July 22, 2013 in Nashville. Hilary choose our lavender baby bedding, Sweet Violet Baby Bedding for Eisele's nursery from our retailer The Plaid Rabbit in Nashville. "She's here, and we are in HEAVEN!!! Eisele Kaye, our beautiful angel, HAPPY BIRTHDAY!!!" Hillary tweeted. Molly Sims is known for her impeccable style, so it's no surprise that the model and actress put her expertise to work when designing baby Brooks's nursery. 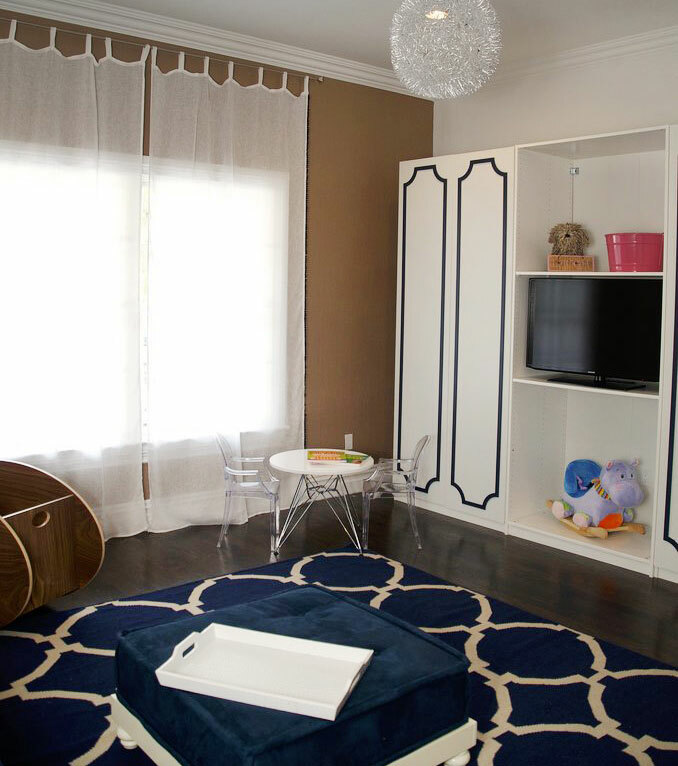 Molly worked with interior designer Kishani Perera and Tiffany and Wendy from Layla Grace to create her dream nursery. Molly chose several New Arrivals room decor items for Brook's nursery. What a beautiful nursery! 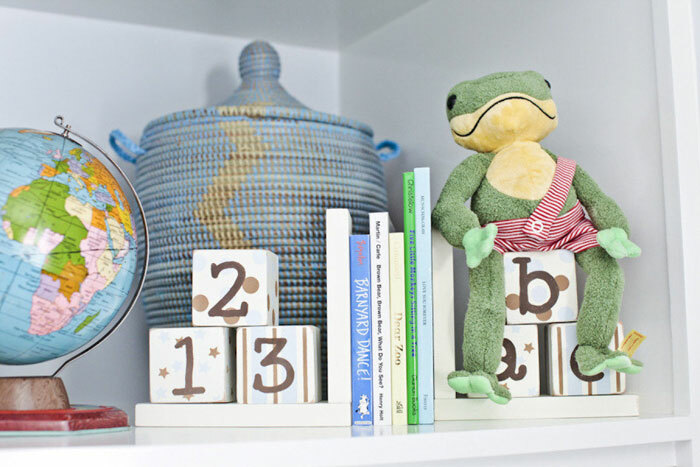 See more on this adorable nursery on her blog. The Wipeout host and 98 degrees singer welcomed a new baby boy, Camden John Lachey, September, 2013. The couple told People Magazine, "Love has truly been redefined for both of us. The nursery's ready, we got the stroller, we got the car seat. Now it's just emotionally figuring out what we do, and I don't think that ever end." Tiffany from Layla Grayce worked with Vanessa to design the nursery for baby for Baby Camden. They chose New Arrivals' Wink Crib Collection for the nursery. When it came to creating a playroom for her 2-year-old daughter Estela Ines with husband Alejandro Gomez Monteverde, the Miss USA 1996, reached back to her small-town roots in Louisiana. â€œTraditional my thing, says Ali, who hosts weekly parenting show, Spotlight to Nightlight. That means old-fashioned toys such as wooden blocks, and framed original Mattel Barbie sketches and dresses worn by Estela and Ali on the walls. â€œMy mom saved them all, she says. Ali's daughter Estella's new playroom is full of New Arrivals products including many of our room decor items. We think the playroom is simply amazing! Click here for details and more photos of the playroom. Jennie Garth (90210) and Peter Facinelli (Twilight) welcomed their third daughter, on September 30th, 2006 Jenni selected New Arrivals, Inc. to design and furnish her nursery for the new baby. New Arrival's owner, Tori Swaim, met with Jennie at her gorgeous Taluca Lake home in L.A (originally built in 1939 for comedian Bob Hope). After looking through all of our available fabrics, Jennie chose our English Garden Toile fabric (no longer available), and a combination of soft pinks and brown fabrics in various patterns. Jennie and Tori created a gorgeous bedding set for baby Fiona's nursery. The set turned out so spectacular, we created the English Rose Garden Crib Collection (no longer available) and made it available for sale. The collection quickly became one of our best sellers! Other New Arrivals products can be seen through out the room including our Wooden Letters spelling out Fiona. Click here to see more details and more photos of the room. 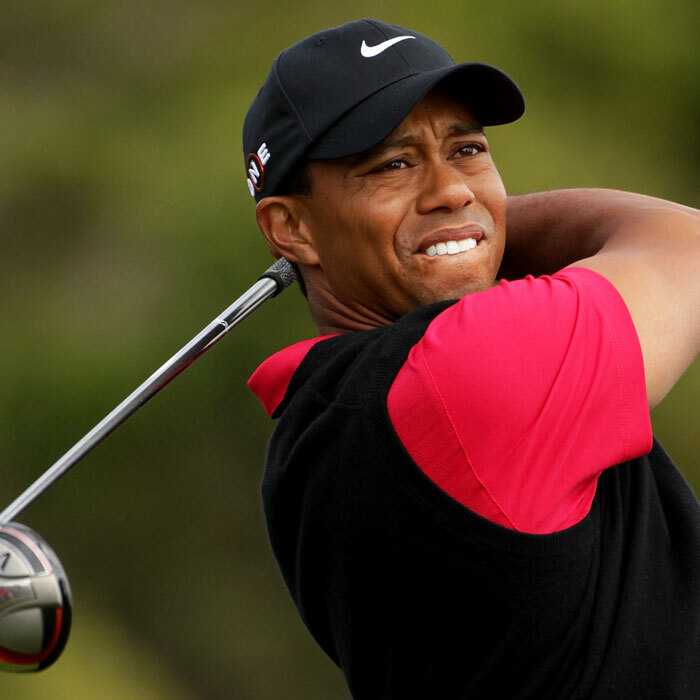 , Alex's cozy California abode is tucked away in the hills of Newport Beach. Alex Murrel looked to New Arrivals, Inc. owner, Tori Swaim to help design her boho chic inspired nursery. See more info and pictures on this adorable nursery here. 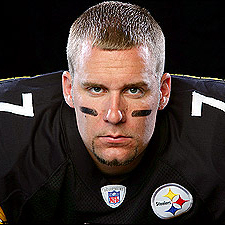 Pittsburgh Steelers quarterback Ben Roethlisberger and his wife, Ashley, welcomed a baby boy into the world, naming their first born Benjamin Jr. The Roethlisberger's chose our Wooden Letters for Little Ben's nursery, hanging them on the wall as a monogram. Supermodel and actress Brooke Burke & husband David Charvet enlisted the help of Tori Swaim of New Arrivals, Inc. to design and outfit the nursery for their daughter, Heaven Rain. The Charvet's home was nestled in Malibu on well known Cross Creek Road. Similar to Jennie Garth, Brooke also opted for our English Rose Baby Bedding, loving the soft toile, polka dot and and washed linen fabric combinations. 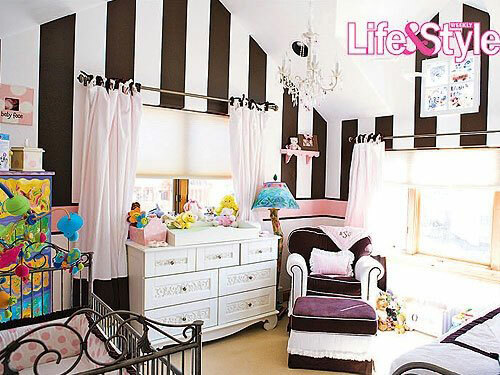 The pink nursery featured pink stripe walls, dark hard wood flooring and a open beam ceiling. Read Brooke's blog about the nursery on People.com. 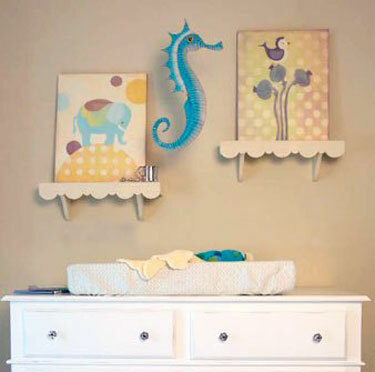 Click here to see details and more photos of Rain's Nursery. Winning a gold medal was one of her dreams, but having a baby was another big dream come true for Carly! 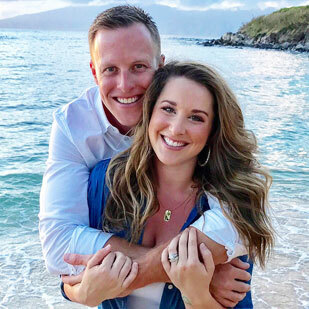 Gold medalist Carly Patterson, is the proud mama of a sweet baby boy, Graham Mitchell Caldwell. Carly and her husband Mark, announced the birth of their son, Graham on October 10, 2017. 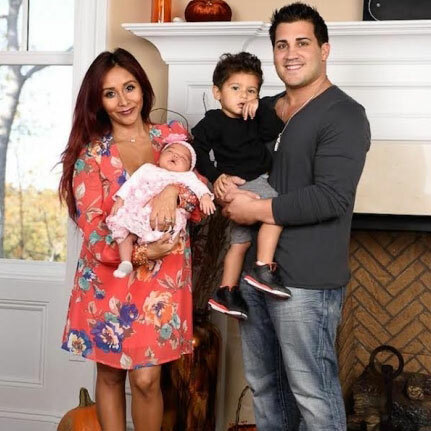 After struggling for quite some time to get pregnant and suffering a miscarriage, Carly and Mark are beyond thrilled to begin their journey in to parenthood. And we were excited to be able to help with the baby bedding for the nursery! See more of Graham's nursery here! When Nicole found out she was pregnant with baby #2, a girl, she contacted us about helping her design the baby bedding for the nursery. She wanted a "girlie nursery" with floral fabrics and a touch of glamour. Our In Full Bloom Crib Collection (no longer available) fit the bill. 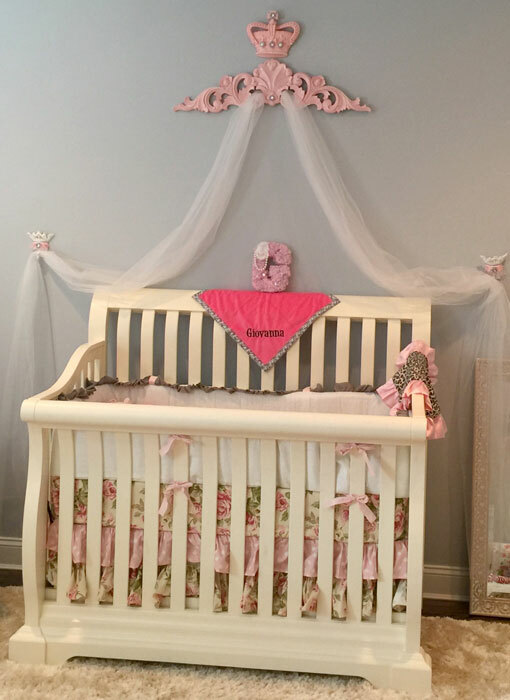 The crib bedding featured beautiful roses in traditional pink colors with a hint of gray and a sweet three tiered ruffle skirt. On her blog, Nicole says: "I'm in LOVE with her crib sheets and curtains that I got to customize for her, pink and floral!" Click here to see more details and photos of the nursery. 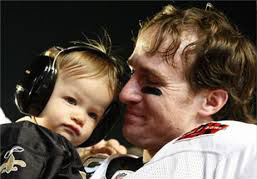 Drew Breesand his wife Brittany welcomed their second child, son Bowen Christopher Brees, October 2010. We were thrilled to be asked to make custom crib bedding for this quarterback & Superbowl MVP! The couple ordered their New Arrivals Custom Bedding from Pippen in New Orleans, one of our custom bedding retailers. Click here more more details and photos of the nursery! Actress Marcia Cross, star of hit TV show Desperate Housewives, gave birth to her first children, two twin daughters February, 2007. Her adorable nursery for the twins featured floral prints, matching rockers, a custom built bookshelf and lavender walls. Marcia and husband Tom Mahoney chose several room decor products from New Arrivals, Inc. to help create sweet surroundings for newborns Eden and Savannah. 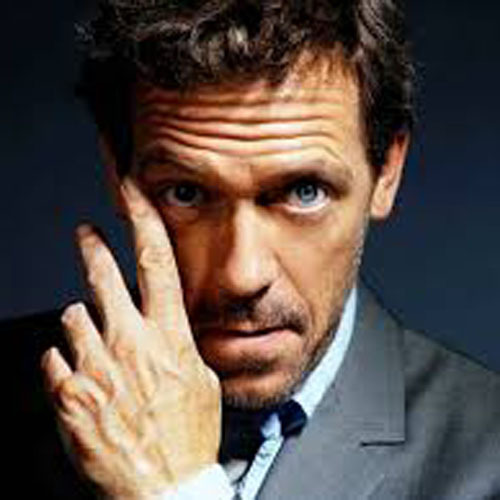 June 2009, Anna Hansen delivered the 7 time Tour De France Champion cyclist's fourth child, son Maxwell Edward Armstrong. Lance and Anna chose two New Arrivals Custom Crib Bedding sets for their new baby's nursery. The couple went with gender neutral fabrics including white and aqua with orange accents for one bedding set, and sage, cream, and chocolate for second crib set. Both sets were adorable! Hillary Madison Hess arrived on January 19, 2011. Samantha chose several New Arrivals, Inc. room decor accessories for her new baby's nursery, including our Cottage Floor Mirror and Fleamarket Table & Chairs (no longer available). Pink, blue and chocolate colors adorned little Hillary's new room. Reality TV stars, Ryan and Trista Sutter gave birth to their first child, Maxwell Alson on July 26th in Vail, Colorado. The couple chose products from New Arrivals, Inc. to help create a modern style nursery, using mostly white and chocolate colors. With the assistance of Tori Swaim, they selected products from New Arrivals including Custom Bedding, and a variety of accessories including a Blue Striped Bookholder, Wooden Hanging Letters & much more! Click here for nursery details and more photos. 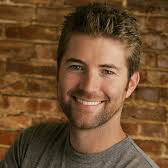 Platinum country music star Josh Turner and his wife Jennifer enlisted designer Tori Swaim to create a dream nursery for their first child, Hampton Otis Turner. Tori went to work with soft blue and camel shades based on the adorable Puppy Love fabric that the couple loved. They also outfitted their nursery with many New Arrivals room accessories including Custom Baby Bedding, Blue Striped Bookholder, Wooden Hanging Letters & more! Julia Roberts and her husband, cinematographer Danny Moder welcomed twin babies, November 2004. Our colorful Polka Dot Letters were the perfect fit for Roberts, spelling out her twins names, Hazel and Phinnaeus in the nursery! Our whimsical letters added personalization, color and fun to the twins' new room. For a Fox & Friends news segment entitled "Cramped for Space" in New York City, designer Tori Swaim transformed a small home office into a nursery for city-dwellers Kristen and Dan Pleau. The expecting mom was looking for a room that flowed with the rest of her home, creating a comfortable extension of their living space. Together, Tori and Kristen created a dream nursery for their new baby! 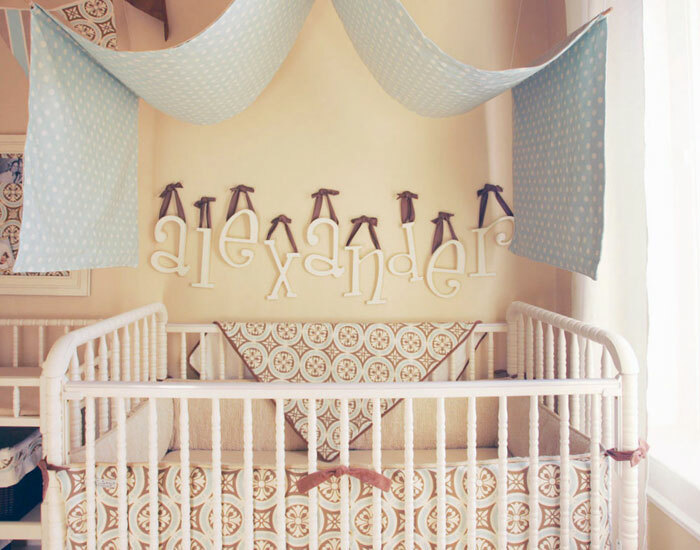 The nursery was outfitted with New Arrivals Baby Bedding, Wooden Hanging Letters, and much more! Check out New Arrivals Wooden Hanging Letters in Chloe's room on the hit TV show Flipping Out on Bravo TV. We spotted some New Arrivals nursery decor items in Dr. Lisa Cuddy's baby nursery in the 14th episode of House including our Pink Striped Tabletop Clock (no longer available)! Our Hanging Wooden Letters can be seen in Alexis & Jim Bellino's nursery for their twins daughters, MacKenna and Melania. Our best selling Wooden Framed Letters can be seen on Tiger's daughter, Sam Alexis Wood's, bedroom wall! 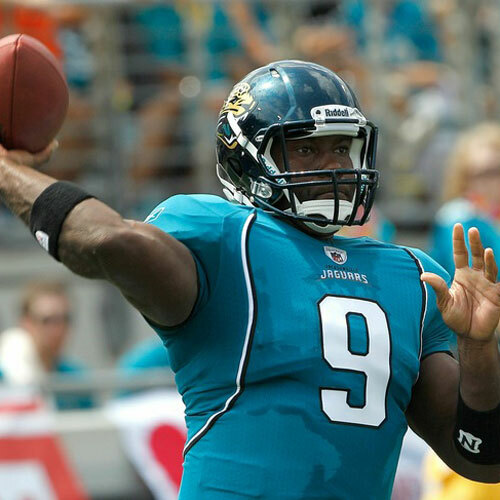 Jacksonville Jaguars' all-star quarterback, David Garrard and wife, Mary, gave birth to the couple's first child, a son, Justin Thomas Garrard, on September 17, 2007. In adorning the future all-star's room, David and Mary chose a circus and stars theme with New Arrivals Under the Big Top Crib Collection (no longer available) and a variety of wall and room decor items. 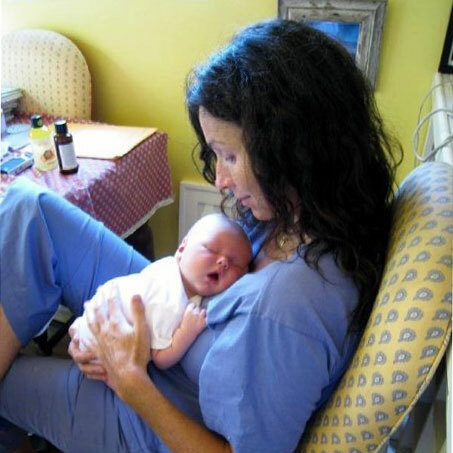 In September 2008, Minnie Driver gave birth to her first child, Henry. Designer Annette Tatum designed the nursery for Henry, which was an eclectic and colorful room. On the walls of the nursery, Minnie hung our Scalloped Cottage Shelves which hold adorable wall art from Oopsy Daisy Art for Kids.